Businesses need a good website design to compete and draw the attention of potential customers. You need to have a website that looks appealing and aesthetic to the viewers and at the same time, it should be user-friendly. However, functioning web design can be created only by following some time-tested design principles. Every business has a website in the modern digital world. To put your products or services or whatever your business is all about online is essential for the simple fact that people search and shop using the web. In the new age, the requirement of a website has now taken a new form. Now, your site must be designed especially for mobile devices such as smartphones and tablets. After all, millions of potential customers use mobile phones to search the web for information. 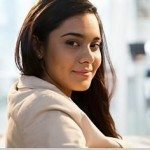 However, since hundreds of websites are already present and many more to come in any field of business, a new enterprise cannot merely rest its hope on having just any website. Unless and until you have a good website design, the site is unlikely to capture the attention of visitors, leave aside converting them into your customers. When designing a website, one of the key things to remember is that it must be user-friendly and functional. As legendary designer once said, “What separates design from art is that design is meant to be… functional.” This clearly hints at what a designer should aim at when creating web pages for the users. Several studies have pointed out that we look at a website in a certain way that is typical to all viewers. This is called visual hierarchy. It is now considered as a widely accepted design principle by any professional graphic designer with a good experience. This principle is all about following a particular order in which our eye focus first and then moves to the other details. So, visual hierarchy is all about knowing where the visitor will look first and then move to other places on a web page. Based on this information, a designer places the information according to its importance for the visitors. Remember that some parts of your website such as your calls to action, forms, and value propositions have more significance than others. So, find out which information is the most important and which is less crucial. Then, place the most vital information at the place where the viewer is likely to see it first. The attention span of people is fast decreasing. So, if you have made the visitor see your most important details of products, services, etc, you have created a winning design. Before you decide which information is the most important to place it at the top, know what your business objectives are. This will help in prioritizing the information. As a principle, you should then draw the attention of the viewers to the element that is of the significant value to your business. For example, if you put a large picture of your product, the eye will first automatically set on it and then on the rest of the details. So, it is essential that you first prioritize the information. Then, design the visuals on your web page as per the priority of the information. Many designers use the golden ratio rule to achieve aesthetically appealing web page. Under this rule, a magical number 1.618 is used to get all the things in the right proportion to get a pleasing website. So, the designer will divide a web page by the magical number. If our online website design layout width is 960 px, then it should be divided by 1.618, which is approx. 593px. This means that the content area should be spread in 593px. This leaves the space of 393px for the sidebar. Similarly, if 760px is the height of your website, divide it by 1.618 to get 479px as the rest of the area in the web page. This is the way to make your website design appealing to the eye. Hick’s law advocates for giving fewer options to the users so that they can take quick decisions. If you give them too many additional choices, they may take time to arrive at the decision which is not good for business. This typical behavior of the users can be experienced at restaurants. When the visitors take a look at menus, they cannot point out the dishes they want to order and take a longer time. This is because there are many items on a typical menu. But if it gives only two options, the customer will quickly decide which food item to order. So, if there are many choices, the customers will take time and may end up choosing nothing. This law is also applicable when creating a web page design. The designer should give limited choices for enjoyable user experience. It is, therefore, better to eliminate as many distracting elements as you can. Add better filters so that users can make decisions. So, limit your navigation options on the web page. You should also limit the number of lists. Keep the interactive options restricted to fewer numbers. Similarly, the number of buttons, links, colors, etc should be kept lower for a better decision-making process. According to Fitts’s law, the time taken to move a target will be decided by the user’s distance from the target and its size. In the web design, the target may be to click a call – to – action button for instance. This means, if the button is designed in a bigger size it becomes closer to the user, increasing the chances of the user clicking it. If the size of a tiny button is increased by 20%, the user will find it much easier to click. But a bigger object when increased further will not become more clickable. So, the law applies only to make tiny objects bigger. Also, know which buttons you want to resize. For example, if your website has ‘Submit’ and ‘Reset’ buttons, you should increase the size of the Submit button and keep the other button size smaller. This way you can make the users click on the Submit button if you want. Most websites use images as part of a strategy to draw the attention of visitors to what a business is all about. Images also establish a visual connection and communicate your ideas effectively. When incorporating the best images on a website, follow the rule of thirds. First, divide the picture frame by two horizontal and two vertical lines. It gives you nine equal parts. According to the rule, the most critical part of an image should be placed at the intersections of these lines of along these lines. This makes the image more appealing and exciting that ultimately results in building your effective brand identity using your website. So, these rules help you decide where to position your crucial image on your homepage where visitors land first. This law states that humans tend to see an image in its entirety first before seeing it in parts. So, when viewing a group of objects, we see the whole image, and then we will see the individual components. This means that the designer should arrange various parts of an image in such as way that it becomes a nice visual arrangement. This way, the design will look complete, and viewers will feel connected and engaged. To achieve this, the designer should follow the law of proximity, which says that if a group of objects is put together, they look like a single perceived object. Then, the law of similarity and law of closure also are essential to creating a whole picture for the viewers. These laws under Gestalt laws make an image look complete. The law of closure says that there should not be visual gaps. For example, if there is square in dotted lines, we will not see the broken lines first instead of the square shape. But when these gaps are closed, we get the square shape wholly. Other Gestalt laws include law of symmetry to make the design look uniform, and the law of common fate to guide the viewer’s attention to something valuable in the design. These laws apply to every design, and even a logo designer need to follow them to create appealing designs of engaging logos. White space, also known as negative space, is the space left empty on a page. It is the space between columns, margins, graphics, and lines, etc. But the designers do not consider it as ‘blank’ space as they treat it as a significant design element. There is some object created in the white space, which is about the wise use of the hierarchy of information in the form of images, colors, typeface, etc. If there is enough white space, a web page looks clean. But some designers use white space to create a logo or other designs to build an image of a hidden object. This way, you can make the design stand out. But most designers of website pages to make a web page look clean. This way, the viewers can focus on some key visuals such as products. The ‘F’ pattern rule is another effective design principle that most website designers follow. This pattern was created as a rule after the eye tracking studies revealing that we scan a computer screen in an ‘F’ pattern. This implies that most people first see the top and left of a web page on the screen and the right side is not visible. So, good website design has the essential information on the top left side of the page. The designer will follow the reader’s natural viewing behavior. Thus, the essential elements such as a call to action, the logo, or any key image will be placed at the top left side, and the lesser information finds a place at the bottom. This visual hierarchy is about signaling the readers what they should be reading first and then what is the next important information to read. This way, you create graphic designs with the perfect font size, direction, typeface, colors, etc that guide the reader’s’ eye to the elements according to their importance. Another useful advice which is no less than a rule to create a good website design is to use grids. There are hundreds of variations of grids available to the modern designers with a wide range of arrangements of columns and rows. The grids work similar to the arrangement of newspapers, books, and magazines. A website grid system arranges text and images in more or less the same way. You should use grids also keep different elements in their right proportions. Grids are also essential to create responsive designs for mobile devices. It would be good if you use grids even when creating a social media page design so that people can stay on the page that has all elements placed in the right proportion. 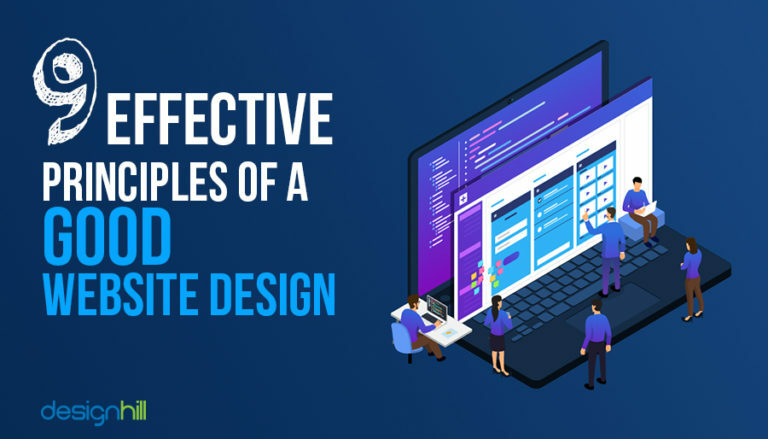 So, these fundamental principles can make your website design look appealing and useful to the viewers, and it can also turn them into your potential customers. If your small business or startup needs a user-friendly website, you can source many new and effective design ideas from Designhill. It is a leading marketplace where you have access to dozens of designers. They will work on your design contest. You can pick one winning design at an affordable price. To create a good website design, you should follow some time-tested design principles. These include the rule of visual hierarchy, the F pattern, giving fewer options to the viewers, following the rule of the golden ratio, etc. With such principles, your website can hold the attention of your readers and viewers to retain them on your web pages.